Sometimes I resent the term "content strategy". The reason is it brings with it limitations. Humans are known to use labels as a way to make sense of the world, but this systematic bucketing comes with consequences. Essentially this "categorical perception" can make it difficult for us to understand, accept, and/or acknowledge when something falls outside the bounds of our carefully constructed labeling system. A "content strategy" cannot and should not fit neatly into any one "marketing discipline" bucket. Rather it needs the support of other channels, such as social, email, advertising, and CRO. Unfortunately, our natural tendency to need defined boundaries makes it difficult for marketers to think of content strategy beyond a defined silo. The first step to overcoming these limitations is knowing exactly what they are. The next is taking action to overcome them. I've identified three main ways I've seen the systematic bucketing of "content strategy" into one "thing" limit marketers, and then provided actions you can take to overcome these obstacles. Most people have put very specific labels for what falls into the "content" bucket. This includes outputs like blogposts, infographics, interactive tools, and photo stories. The above list doesn't even cover all the types of content consumers interact with before they make a purchase. There are new content formats created everyday, so if it's an asset published with the intent of a consumer making a purchase or engaging with a brand, it fits under the "content" umbrella. Another limitation of thinking of content as just your typical articles and infographics is the fact that these formats don't cover all the types of content consumers need throughout the buying cycle. Many marketers make the mistake of thinking content marketing only covers sharable, top or bottom of the funnel content. Content marketing is not meant to be a series of creative campaigns aimed at attracting consumers to your purchasing funnel. It should not be a series of one infographic launch after another. Rather, content marketing is the strategic integration of all content a brand produces in order to direct users to a desired behavior. You cannot do this with only infographics. Identify Your Customers' Journey Throughout the Buying Cycle. By intimately understanding your customers' different behaviors throughout the funnel you'll be better able to develop content that meets their wants and needs at each stage. Once you understanding their journey, consistently ask yourself the questions and objections your customers run into that inhibit them from moving to the next step in a purchasing decision. Try to meet these questions and objections with a piece of content. You'll soon see that it's impossible to answer everything in infographic or mind-blowing advertising campaign format. Test new formats consistently. If the only content your boss sees is infographics and articles, that's all he/she will ever think you're capable of creating. Constantly push boundaries and try new formats of content. It's on you and your team to be internal educators, so the shift in thinking starts with you. The above-mentioned compartmentalizing of content limits more than just our own team and its outputs. It makes it easy for our boss and other internal teams to silo "content strategy" into a separate division of the company. However, content strategy is but one piece of the content marketing landscape. A content strategy only answers how a company will use content to attract and retain customers. It is not a vehicle to execute content creation or distribution. Rather, it relies on other teams and "marketing disciplines" in order to be effective. This dependence goes both ways, though. Just as a content strategy relies on other marketing channels like social media and email marketing to be truly effective, so too do these other disciplines rely on the content strategy to define how they will achieve their goals. This codependency is a result of many different disciplines falling under the umbrella of content marketing, not outside of it. All of these channels are content marketing, and they need to work together in order to achieve the only overarching goal any discipline is ever really measured on: increasing revenue. Don't let your team's finite responsibilities limit the type of content your company produces. Just like you need to educate your company on the types of formats that are considered content, you also need to determine what type of content each team owns. It is very unlikely that your team will be able to control the creation and direction of all the content ever created by your brand. This is particularly true if you work at a large company. Integrate with those teams to the best of your abilities. This can be a long, frustrating process, but it's worth it in the end because at some point you'll be able to collaborate on the strategic vision and execution, which will then deliver a better and more consistent user experience. Get your boss on your side. Sometimes in order to earn other teams' trust, you need some third-party advocates. There is no better person to be your advocate than your boss. Oftentimes, your boss will talk to other teams' bosses. And sometimes those other bosses will tell their teams to pay more attention to you. Don't underestimate the influence superiors can have to your "earn-buy-in" cause. Get on their good side. Ask them directly for support. Make your case. Do everything you can to prove that integration with the content strategy team is integral to the success of these other teams. A content strategy cannot be successful without adhering to an overarching brand strategy. This fact can be a limitation if your content team is siloed and doesn't have internal buy-in to identify, create, and/or integrate the brand strategy. Remember a content strategy only answers how a brand will use content. It doesn't answer the who, what, or why. These last three components are determined by the brand strategy. 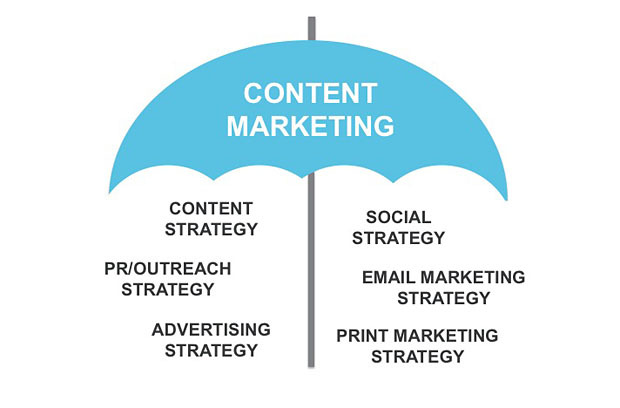 Furthermore, remember that content strategy is but one discipline under the content marketing umbrella. Since content strategists need a brand strategy, so too do all the other content marketing channels. We all need to know who our customers are. We need to know what we're trying to say. And we need to know why our customers should choose us over our competitors. 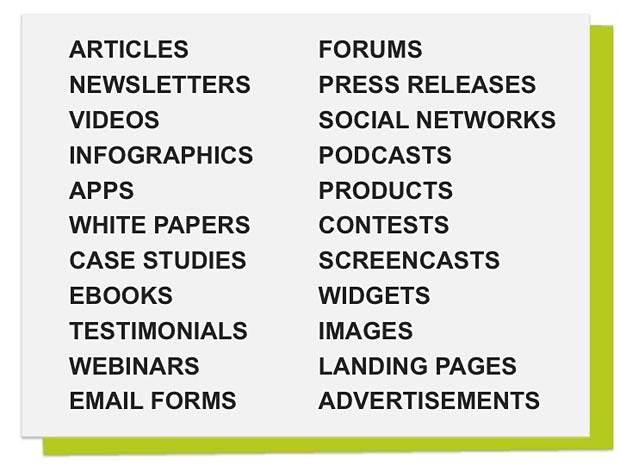 All of these are defined by the brand research and messaging…not by each individual channel. What are our brand message and strategy? Do we have branding guidelines? Do we have customer segmentation/persona documents? What is our company's USP(s)? What are our brand's current goals? What metrics are we measuring to see if we've achieved these goals? Do we have any competitive research available? Understanding your company's current performance. You need to understand where you're company has been before you can know where it's going. You will look at metrics like current revenue and churn rate. The goal is to identify areas for improvement. These will help define your goals later. Understanding your competitor's performance. You want to know your competitors just as well as your own company. Are they doing anything extremely well or poorly? How do customers perceive them? Studying your competition will help you identify how you can position your brand differently. Conducting customer and general market research. This is where things like persona development, keyword research, and social graphing come into play. You'll learn a lot about your customers' needs, and whether or not you (or your competitors) are fulfilling them. Taking the findings from the above to find gaps in the market. All of the above research is meant to help you identify gaps in the market in which to position your brand. By seizing these opportunities before your competitors do, you'll be able to capture customers' attention by telling a distinct story and fulfilling a unique need. Develop a brand message and standards to explain how you'll fill these gaps. In order to capitalize on these opportunities, you need to create standards for implementation. You'll also need a sticky brand message. Whether used internally only or externally too, this will help ensure all content creators and distributors add to a consistent user experience. Define metrics and goals. Developing measurable goals will help you determine whether or not your brand successfully filled these gaps in the market. Create a strategy that will achieve these goals and portray the aforementioned brand message and standards. With all the above research in hand, you'll be able to develop a content strategy that targets specific aforementioned goals and keeps within the brand messaging and strategy you developed. Humans naturally try to make sense of the world by compartmentalizing concepts into distinct "buckets". When we try to put "content strategy" into a distinct bucket, we create silos and limitations that will affect all our marketing initiatives. At the end of the day all marketing channels (social, email, PR, etc.) are part of one team – the marketing team – and we need to all be working off the same brand goals in order to improve revenue and provide a consistent user experience. Determine your brand strategy before developing a content strategy. Encourage other marketing channels to also adopt your company's brand strategy. Understand your customers' purchasing journeys and create content for every stage. Consistently test content formats and educate your internal teams about what is actually considered "content". Integrate with other marketing channels in order to create and distribute content. Get your boss to be an internal advocate for your team and integration. Have you experienced being shoved into a content marketing silo? What were the limitations and how did you get over them? I would love to hear more about it in the comments! Or, if you're thinking, "I just want to do content marketing," you can check out my DOs and DON'Ts of content marketing post.